Bettie Frances Nowell was George Eugene Nowell's youngest sister, and Grandma Zula's aunt. I can't say for sure when or where this photo was taken. Or even who everyone is. But I can make a few guesses from the data I've collected. Maybe someday, someone from this branch of the Nowell clan will stumble across it and be able to verify the identities. 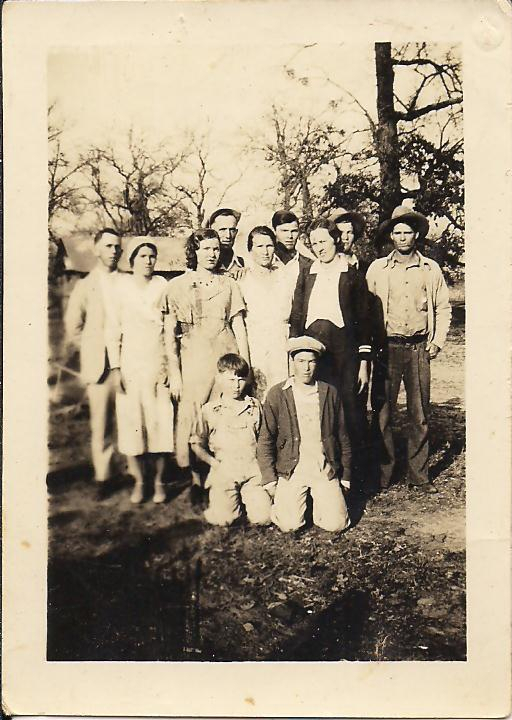 One copy of this photo was labeled "Aunt Betty's family, children & in-laws" (I have two scans, this one was the larger of the two). 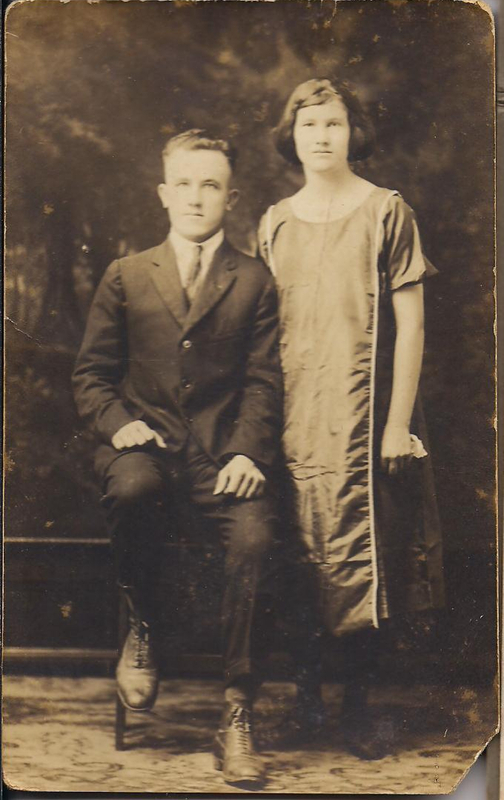 Bettie and Sam Davis had eight children that I can account for, that were probably still living when this photo was taken (they lost one child prior to 1910). The oldest daughter was born about 1901, and I swear, her name on the 1910 census looks to be "Daniel". I haven't been able to find anything else on her to confirm her name, so for now, I'll just refer to her as Danni. :) Second child, Verna, was born 21 Feb 1903. Their third daughter, Della, was born about 1911. I haven't been able to find any more on her, either. So, I think the women in this photo are Aunt Bettie and her three daughters. 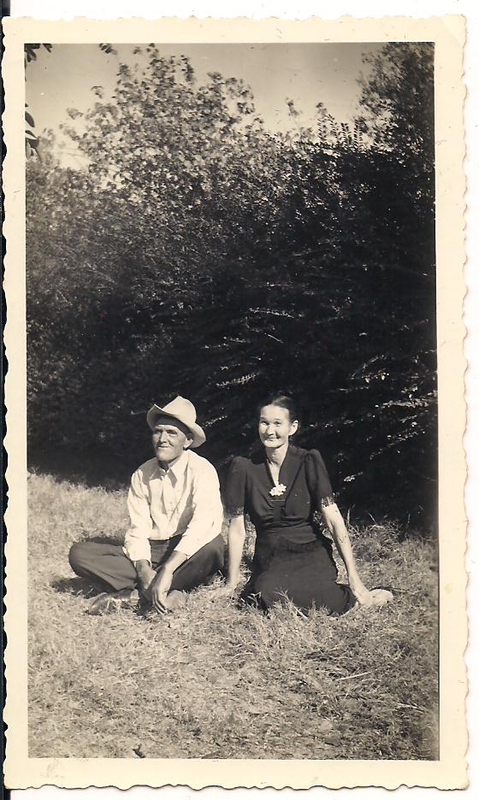 I also have a photo (on the right, there) of Verna Davis and her husband, Lester "Bud" Wright. Perhaps someone with better facial recognition skills can figure out which one is Verna. I think that might be Verna and Bud on Bettie's right, but I'm not certain of that at all. And, of course, it's also possible that any one of them could be a daughter-in-law instead. Now, the two boys in front are probably Aunt Bettie's youngest sons, John Travis Davis born 1 Aug 1920, and Robert Franklin Davis b. 2 Nov 1917 d. 8 May 1978. I'm terrible at guessing ages, but I'm going to take a shot anyway, and "guess" that the youngest there is around 10 years old. So if that is John Travis, that would put the year somewhere around 1930. 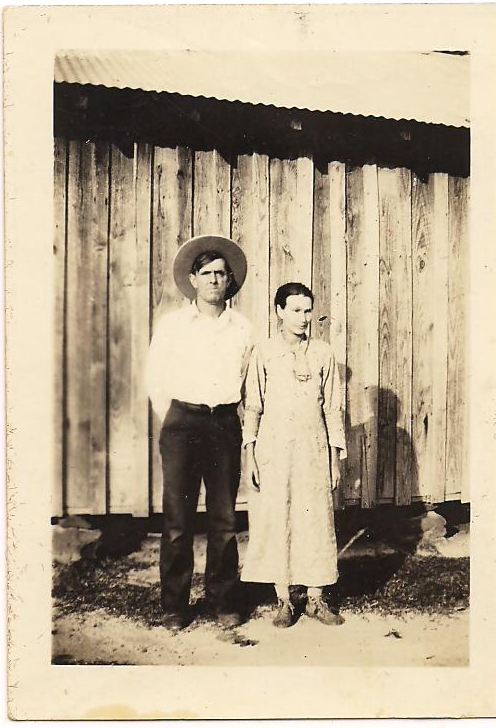 Aunt Bettie and her husband, John Samuel Davis, were probably still living in (or near) Chandler, Henderson County, Texas. Bettie and Sam's other three sons were George M. Davis, 22 Mar 1906 - 28 Jul 1941; Harry Thomas Davis, 15 Jul 1908 - 2 Jul 1961; and Jack A. Davis born about 1915. I know I'm straying a bit from the topic, here, but something of interest that I came across while researching this branch was Harry's cause of death. According to his death certificate (free member account at FamilySearch.org required to view the image), Harry Davis was "Shot four times with .22 rifle, in shoulder above heart and stomach", and "Homicide" was marked on the certificate. I know my family loves the gory details, so I thought I'd go ahead and mention it. Back to the photos. I have two more photos of Aunt Bettie. This first one was probably taken around the time she and Sam got married, about 1900, likely while they were still living in Comanche County. But it might have been taken later than that. The one on the right is labeled November 15, 1943. 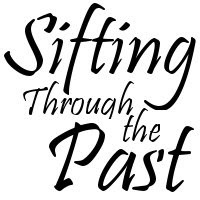 They were living in Chandler in 1940, having moved back after living in Liberty County for a while. So this may have been taken in Chandler. If anyone needs these photos for their research, or to hang on their "ancestor wall", be sure to click on them first for the full size image.